Well-crafted, leather brogues are the perfect shoes to add a smart, chic, and androgynous vibe to any outfit. They’re cute, comfortable, and super easy to style – in other words, they’re shoes that just won’t quit – and the ways to pair brogues are almost endless too. Stylish, handmade brogues have proven time and time again to work for almost any occasion and style, becoming de facto “the” contemporary classic shoe. And the best part is that there are now more options than ever in terms of styles and colors to choose from. Though brogues were traditionally crafted in neutral colors, such as black, brown, and beige, the new generation of brogues comes designed in every color of the rainbow, unique patterns, and novel materials. With global warming ushering mild winters and long transitional season, a pair of well-made brogues becomes a great long-term investment to enhance your style for many seasons to come. Not to mention, that wearing vibrant shoes is one of the easiest ways to add a pop of color to your outfit, whether you already embrace color on the regular, or are more of a black-and-white kind of a girl looking to spice things up. With that in mind, we share our five favorite color brogues of the season and showcase outfit combos that successfully incorporate them, in case you’re after some inspirations. So, enjoy and let them brighten up your spring style! 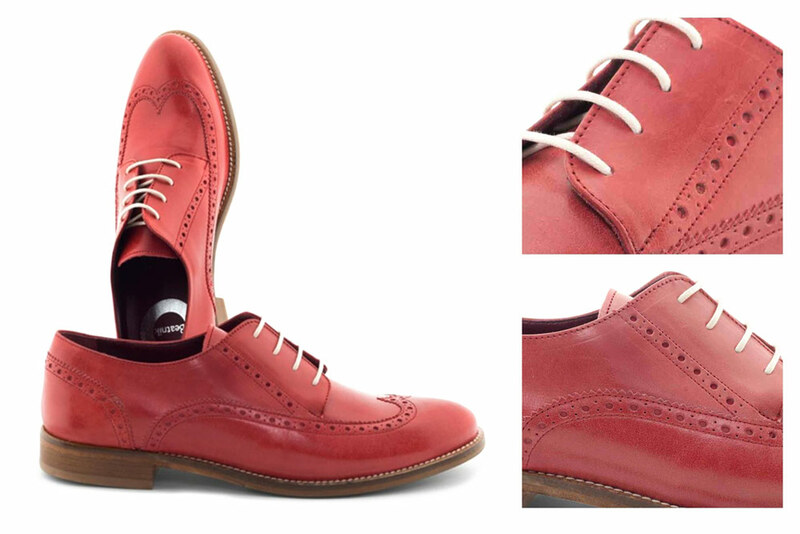 Be bold and stand out in these beautiful dark-orange leather brogues. They’re handmade from calfskin with a genuine leather sole and produced sustainably in Spain in limited edition, so grab them while they’re still available. Their lovely, deep shade of orange is perfect almost all year round and it complemented by spring blossoms, summer fruits, and autumn leaves. A white collared sundress for the perfect blend of masculine and feminine on a casual afternoon. A button-down blouse and blue jeans for a relaxed yet smart look. To make the look even more fun, switch to a printed blouse and/or add a pair of quirky sunglasses. A white midi skirt, black tee, and a camel coat (if the weather calls for it) to be equal parts elegant and fun. Add an eccentric bag to the mix to spice things up. Printed, checked, or just in an unusual shape. These eye-catching brogues have just the right amount of color and texture. 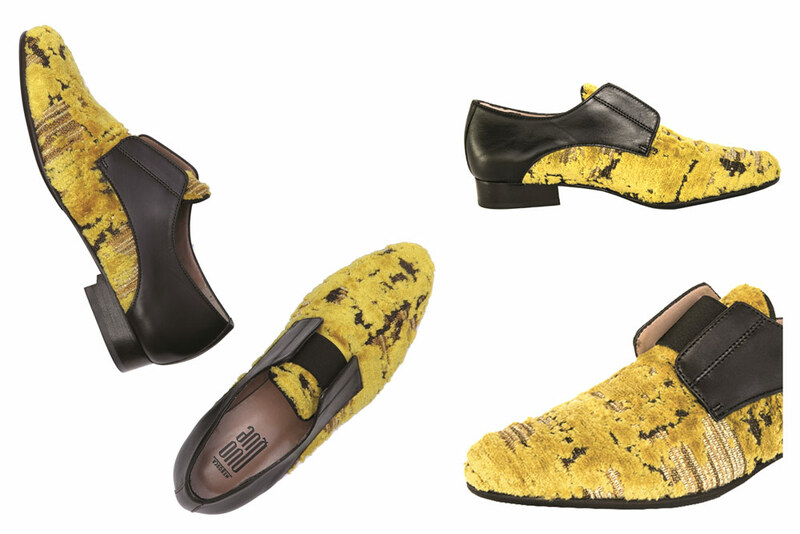 They’re handmade by artisans in Menorca out of locally-sourced, upcycled leather and plush velvet for a truly winning, distinctive combination. Their vibrant hues will surely lift your mood and lighten up even the cloudiest of days. A white t-shirt and black culottes/wide leg trousers for the ultimate casual, yet trendy street style OOTD. A turtleneck, slim trousers, and beret for a Beatnik-inspired look – think, a modern version of Audrey Hepburn in Funny Face, only with a tad of texture! You can keep the outfit all in black or brighten things up with a white top to enhance the color of the brogues even more. A simple LBD (shift or shirt dress) for a minimal and stylish outfit that you can take from the office to dinner, or just to enjoy a day about town looking chic. An oversized yellow top (sweater, t-shirt, or a blouse), light-wash mom jeans, and a structured bag to truly nail the elevated, casual look. A black midi skirt (pleated or skater style) and a t-shirt or a blouse for an adorably retro-inspired look. Make it a striped tee and add some cat-eye sunglasses for extra fun. Black jeans/slim trousers, a grey cardigan, and a neutral colored top (white or beige) for a casual and comfy outfit with a quirky twist (via your brogues). 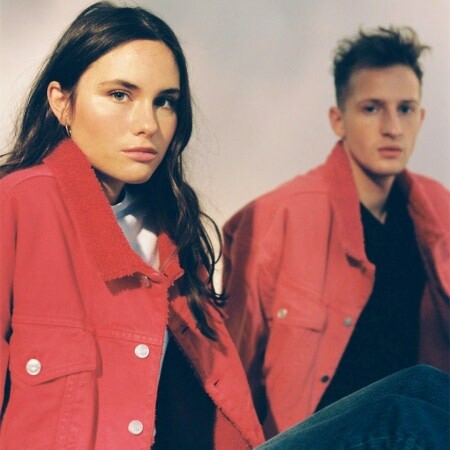 Really embrace the red with a matching red jacket (bomber or biker). For best effect, tone down the rest of the look with blue jeans or a denim skirt. Add some urban toughness with a leather jacket, but maintain the classic feel with a white blouse and blue jeans. Choose a structured mini bag for a feminine touch. If you prefer shoes with a more feminine feel, look no further. These loafers give the classic brogue shape a pretty twist with bow detail. 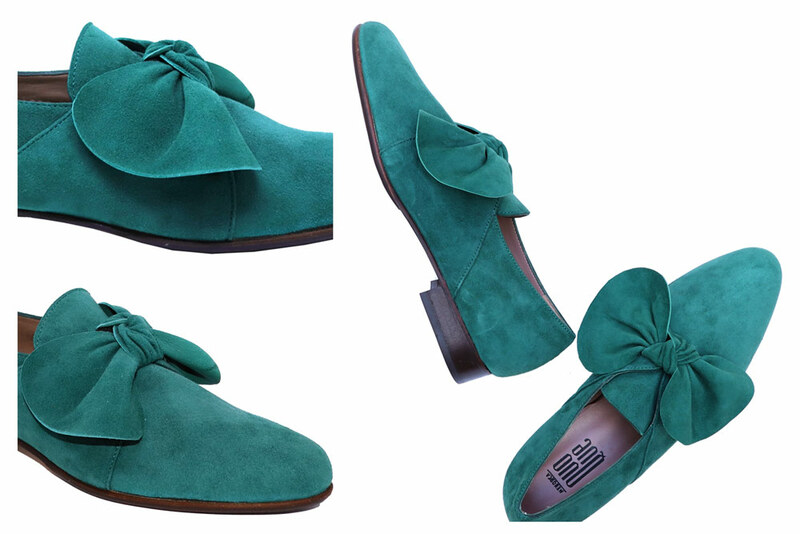 They come in a lovely teal hue in the softest upcycled and locally-sourced suede. All of your outfits will instantly look cuter with these eco-friendly beauties! Wide leg trousers/culottes and a tucked in oversized blouse for an outfit that’s equal parts chic, comfortable, masculine, and feminine. You can really play around with colors here: stick to black and white to make a statement with the shoes or embrace the color and mix neutrals with teal and purple/red. A simple midi wrap-dress in a neutral color for a minimalist, cool outfit that’s anything but boring. Light grey, checked trousers and a slim white blouse/tee/turtleneck for an office-appropriate look that will also serve as a major street style inspiration when you’re off duty. Embrace the sweetness of the bow with a feminine dress in an easy silhouette (shift, wrap): think polka dots, ruffles, gingham. 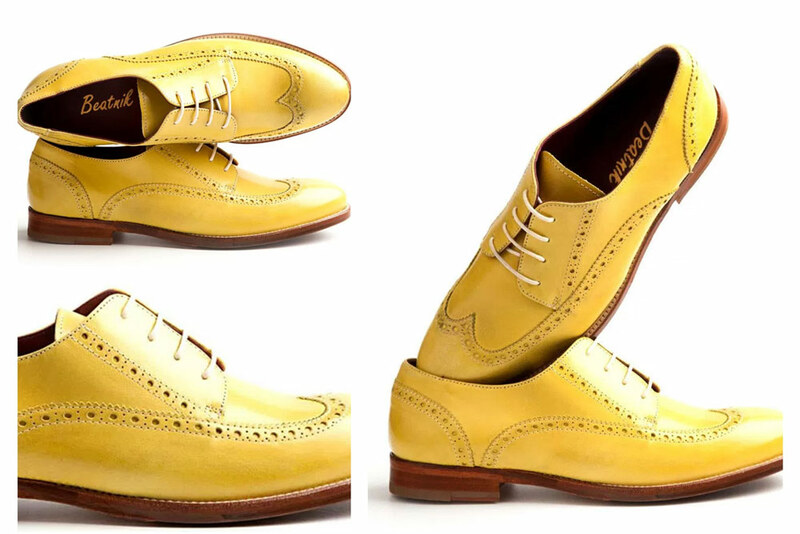 Last but certainly not least, are brogues in the season’s most popular color: lemon yellow! 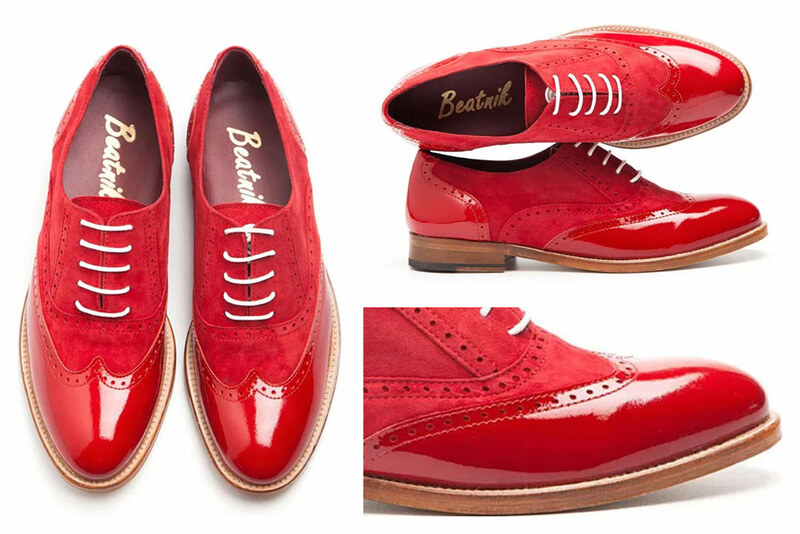 This warm, sunny hue is contagious, so why not add it to your style and color palette in a form of these lovely brogues? 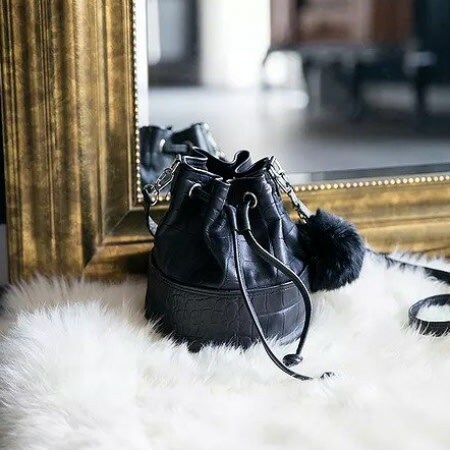 They are handmade with ultra-smooth, locally-sourced calfskin leather that has quality and comfort written all over it (not literally, of course!). You’ll be reaching for them all summer long, and during the transitional seasons as well when the sun is long gone. A top/sweater with colorful stripes (including yellow) and a tan pleated skirt for a wonderfully retro feel. Add some second-hand vintage (or vintage-inspired) sunglasses to complete the look. White wide-leg trousers and a yellow tee/blouse for an outfit that will definitely make you feel happy and relaxed, whether you’re wearing it to work or on a day off. Add a black blazer if you need the extra warmth. A yellow cardigan, graphic tee, and black/white printed trousers for the coolest casual OOTD you had worn in a while. You can keep the t-shirt plain if you prefer. As for the trousers? 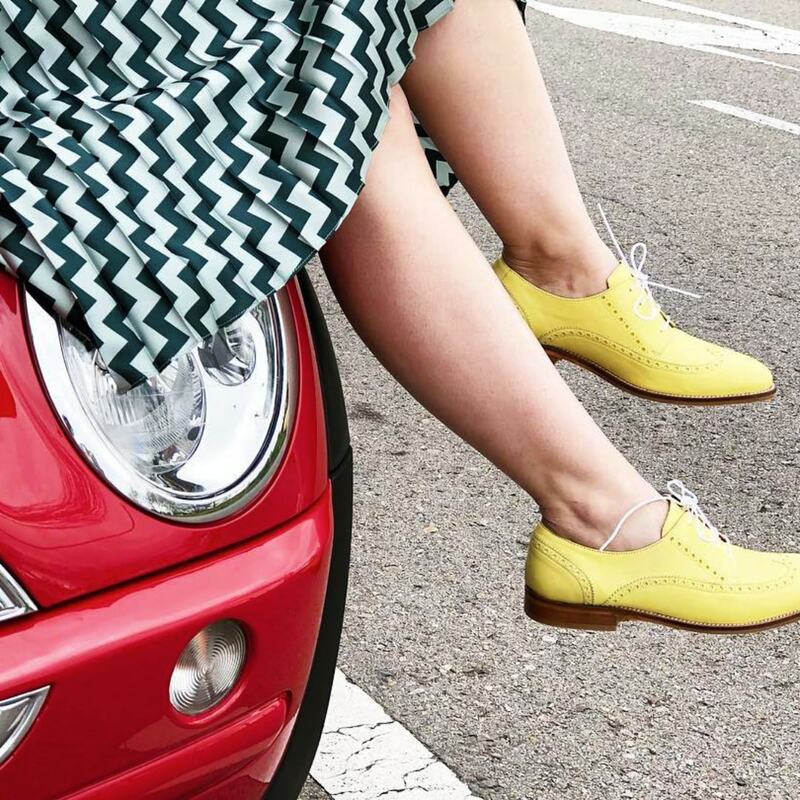 We suggest stripes, polka dots, or a fine geometric print (not to overshadow the yellows of the brogues). Layer a navy sweater over a white or grey button down and pair them with light-wash jeans or perhaps tailored shorts, if the weather permits, for a preppy-meets-tomboy feel. The sky is the limit when it comes to styling different, colored brogues with fun outfits, so tell us which one will you choose and what is your favorite outfit that incorporates brogues? The classic denim jackets get reinvented thanks to colored shearling and an oversized style. Ethical fashion is marred by a complex issue of perceived in-affordability. But is there really an affordability barrier when it comes to conscious consumerism?